Main Use Case:Utilizing the Ethereum blockchain to invest in Corl, a regulatory compliant company, that leverages revenue sharing techniques to provide funding to early stage companies. In the past few years, there has been a significant increase in the use of Initial Coin Offerings (ICOs) by blockchain-based startups as a way to secure funding for their projects. While ICOs and Initial Public Offerings (IPOs) both serve to raise capital, their offerings vary greatly in that ICOs provide assets in the form of tokens whereas IPOs offer equity. Very few companies have utilized the ICO token sale to offer an equity stake in a company in the form of a cryptocurrency, therefore, mirroring the way which a large corporation ‘goes public’ through an IPO. Corl will utilize funds raised during their token sale to enter into revenue sharing agreements with early-stage companies that have met their criteria. Holders of the CRL token will be paid quarterly dividends with the funds generated from these agreements. The revenue sharing model is a relationship that is mutually beneficial for both the entrepreneur and investor, as it moves away from the traditional funding market that is often inaccessible to the average entrepreneur and investor. About Corl Financial Technologies Inc.
What is perhaps most interesting about Corl is that they are a fully regulatory compliant Limited Liability Corporation (LLC). They will be adhering to all Canadian National Security laws and International Financial Reporting Standards (IFRS). Both Class A and Class B shares will be offered. Class A shares, which will be held by the Corl team and pre-ITO investors, will not be capped and will provide voting rights to shareholders. Class B shares will be capped at 100 million, and will not yield voting rights to holders. This class of shares, which will be represented by the CRL token, will be publicly held and will provide quarterly dividends. It is important to note that, the Class B shares and CRL tokens are legally equivalent and, therefore, comply with regulation. Corl has chosen to offer equity in their company in the form of the Class B equivalent CRL token so that the team can easily manage company operations, but CRL holders will still receive ownership and dividends. One of the other major benefits is that this model will circumvent the costs associated with a listing on a public stock exchange. Corl Financial Technologies Inc. is a company that will utilize revenue sharing agreements to fund early-stage high-potential companies. The revenue generated from these agreements, will be paid to Corl’s investors as a dividend. Always keep in mind that it is the team at Corl, and not the investors, that will choose which companies they will be funding. Revenue sharing is when “an investor injects capital into a company in return for a percentage of its revenue.”1 Therefore, returns on initial investment are based upon monthly revenue. While this means the investor is taking a risk on the performance of a company, Corl has developed a stringent methodology as to how companies will be chosen to mitigate this risk. With Corl’s revenue sharing agreement, there will be predefined Repayment Caps in place at a rate of 1.5-2.5 times the initial investment. Corl will also have the option to purchase a maximum of 2% of the company’s equity within two years after the loan has been repaid. One of the major benefits of the revenue sharing model is the potential for high rewards with only limited risk for both the investor and the entrepreneur. In this model, entrepreneurs acquire the capital necessary for growth without having to provide collateral for bank loans or giving away a portion of their company to a Venture Capitalist. Therefore, the entrepreneurs bear no personal liabilities and they retain full ownership and control of their companies. For investors, revenue sharing minimizes the possibility of default through monthly payments. In the event of a default, the revenue sharing agreement between Corl and the company in question ensures that debtors are paid first. Finally, Corl’s model allows the average investor to capture capital gains from investing early in a project that would otherwise be unavailable to them. CRL token holders will be paid a quarterly dividend from the net profits of these monthly revenue payments. Corl will pay out 10% of quarterly net profits equally to all CRL holders in the Canadian Dollar equivalent amount of Ether. It is important to note, the net profits will divided and distributed on a per coin basis. Therefore, those with larger amounts of CRL will receive greater amounts of dividends; this is no different from dividends on a stock. If a net loss occurs, no dividends will be paid. As CRL is an ERC20 compliant token, quarterly dividends will be automatically sent to the Ethereum address associated with the CRL tokens. To ensure a loss does not occur, Corl is investing in an array of early-stage companies “that are fully operational and are generating steady revenues.”1 Revenue from these companies will be acquired via Revenue Repayments, Origination Fees, and Equity Warrants. Revenue Repayments are the monthly payments between 2% and 10% of the early-stage company’s revenue. During the initial set-up, a company will be charged an Origination Fee. This will be paid at the time of the first monthly Revenue Repayment. According to Corl’s white paper, the Origination Fee will be “between 2% and 5% of the difference between the Principal Amount and Repayment Cap.”1 Finally, revenue will be generated from Corl’s 2% ownership of the company that expires two years from the time of repayment. Through these three avenues, Corl expects to have a constant stream of net profits. Corl will have both an investor and a business platform. The investor platform will serve as a space where one can check their balances, dividends, and obtain all legal and tax documents. To register on the investment platform, one will have to provide an Ethereum address and documentation to verify one’s identity. They will then complete a survey to determine their risk profile and tolerance towards volatility. This will be sent to an accredited third party for identification verification purposes. The investor will be put on a whitelist, which will classify the investor as “Non-Eligible or Retail,” “Eligible,” or “Accredited.” Each of these categories comes with different requirements and investment caps. The “Non-Eligible or Retail” investor is limited to an annual investment contribution to $2,500 USD and does not have income or net worth requirements. The “Eligible” investor must have an annual income of $75,000 USD or a $400,000 USD net worth. This individual will be able to contribute $10,000 USD annually. Finally, the “Accredited” individual will have no limit on contributions, but will need an annual income of $200,000 USD or a $5M USD net worth. The rationale behind the investor categorization is to comply with Know-Your-Customer (KYC) and all other security regulations. Following verification, the investor will be able to send Ether to Corl’s smart contract address, which will cross-reference the investor whitelist and authorize the distribution of the equivalent number of CRL tokens to the investor’s Ethereum address. If an investor tries to send funds that exceed their investment cap, the transaction will fail. At the time of the initial token sale, the equivalent of $1 USD in Ether will equal 1 CRL token. Following the token sale period, investors will be able to access the platform to track their portfolio, view dividend payouts, and view all legal documents. Eventually, the platform will host a decentralized secondary market where whitelisted investors can buy and sell CRL tokens. The business platform will provide a portal on which entrepreneurs will be able to apply for funding and track their payments. Corl’s business platform is a service in which companies can directly apply for funding in less than 10 minutes. In this process, the company will “authorize Corl to connect to their payment gateways, accounting systems, and banking data”1, which will determine whether or not the company is credit-worthy. If a company meets the quantitative eligibility requirements, they will be pre-approved at the end of the application process. Following the pre-approval decision, Corl will “subject [the company] to a stringent due diligence and review process prior to any commitment of funds.”1 Part of this process will include a qualitative risk assessment on the company and its founders. Afterwards, all of this data will be reviewed and a funding decision will be made. Corl will use risk-based pricing to decide the Principal Amount of funding, Revenue Rate, and Repayment Cap. 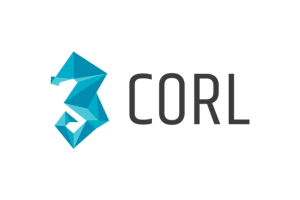 As Corl will have access to the company’s accounting systems, revenue will be calculated monthly and will be automatically debited from the company’s bank account. Following the initial investment, the company will be able to use the business platform to check their investment history, look at the terms of their agreement, prepay a monthly revenue, or request additional funding. With its commercial launch scheduled for the second quarter of 2018 and its first dividends to be paid in September 2018, Corl is on track to becoming one of the first companies to be fully regulatory compliant and to offer equity as a digital token. As dividend providing cryptocurrencies continues to become increasingly popular, the CRL token is offering an alternative form of dividend returning tokens. Corl is aiming to pay dividends in the same way as traditional stocks. Their ability to both service the investor through these dividends and to provide a new possibility for funding emerging businesses in the form of Capital-as-a-Service is what sets them apart. To get whitelisted for investing or to find out more about Corl, please visit their website. DISCLAIMER – MLG was an advisor to the Corl team and on the CRL ITO. We are blockchain agnostic and are experienced working with many blockchain fabrics including the Bitcoin Blockchain, Ethereum, Hyperledger, Ripple, Factom, Eris. We are also experienced working with many blockchain development APIs, software frameworks, databases, and devOps tools for testing and agile development.